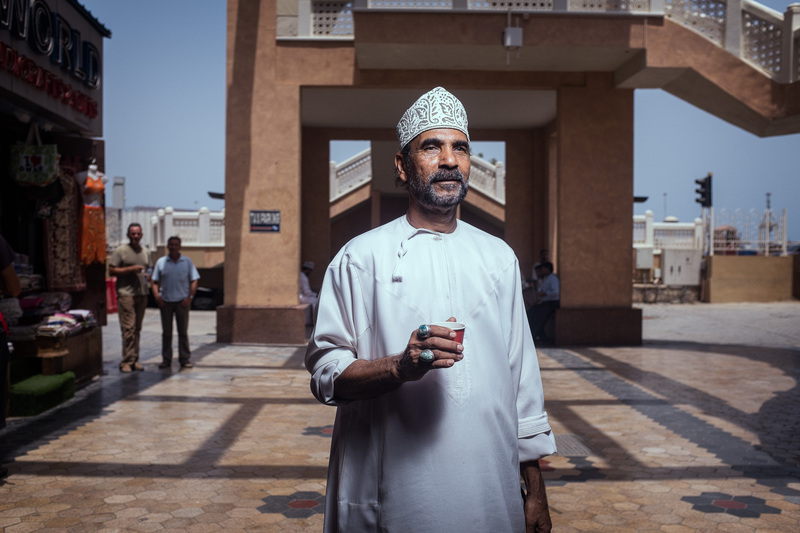 Last weekend I picked up my camera bag, called my cousin and headed out to the old part of Muscat to walk around and capture some street portraits, special thanks to Dr. Fahad AlKindy for coming along. For people who know me “coming along” translates to holding a boom with a soft box or as is known in photographer circles becoming a “VALS”. Souk AlThalam “The dark Souk” the common name of this market is such a contradiction, to this place that offers a glimpse to the diverse and bright heritage of the people Oman a history and present that is characterised by tolerance and diversity. 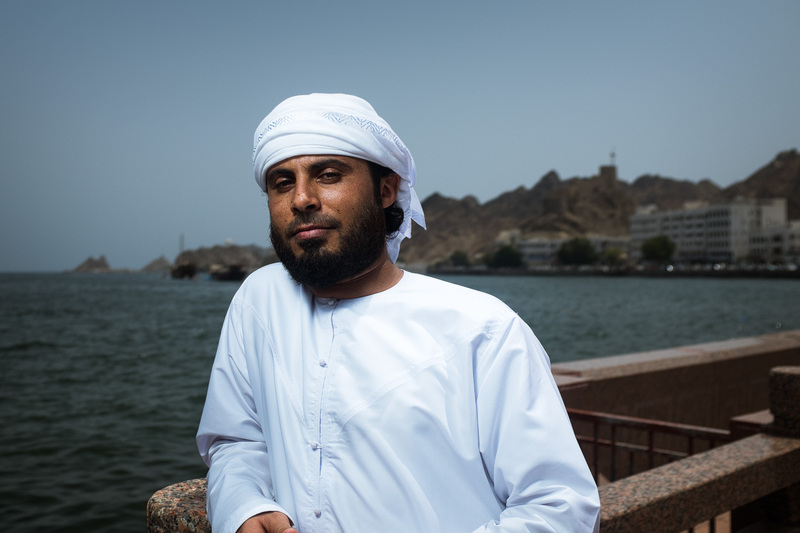 Even with the growing number of tourists visiting the Muttrah Souk, it is still an important local destination for local people from Muscat and the rest of the country. This is where people come to buy a wide verity of goods from spices, perfumes, to jewellery and traditional cloths. Exploring the Souq is like a treasure hunt, walking around the narrow alleyways lined with the little shops; It is easy to lose yourself for hours moving from one alleyway to another. At the end of this adventure you can take a break and have some traditional milk tea or a cold juice and a sandwich. The unknown man with a tea cup is amazing and very impressive , as if he has found internal joy by looking at the heavens .